Hong Kong, June 13, 2014 – Since the beginning of 2014 there have been a number of loan defaults in China, including those in the real estate sector. These high-profile defaults have put the spotlight on the distressed situation facing many developers in lower tier cities where market conditions are deteriorating. CBRE’s latest research report China Shadow Banking and the Real Estate Market looks at the role of shadow banking in real estate defaults and assesses the broader impact on the real estate sector and investment market. Over the past several years, Chinese developers have increasingly turned to the shadow banking market as a source of funding. The three traditional sources of funding for developers—bank loans, equity issuance in the public markets, and proceeds from pre-sales of new properties—have all been hit to various degrees. As the central government began increasing its efforts to cool down the residential sector in 2010, domestic capital markets essentially shut down for Chinese developers while domestic banks turned more cautious towards the sector due to their exposure and fear of increasing default risks. Most listed developers still have access to bank loans and capital markets, but bank financing has become very difficult to obtain for small- to medium-sized developers. Consequently, proceeds from pre-sales became the major source of funding for smaller developers where recently sales volumes have been hit heavily by the government’s cooling measures. Economic growth in China has continued to weaken in 2014 and is placing additional strain on the already stagnant residential real estate market. Small- to medium-sized local developers in lower tier cities—which have largely been reliant on the pre-sale financing model—will be more exposed to risks arising from the slowdown in pre-sales and availability of working capital. Concern over the rapid growth of the shadow banking sector in China is also expected to result in credit tightening of shadow financing channels. As a result, more defaults in the China property sector are to be expected. However, CBRE believes that this will only be within the tolerance level of the central government, as authorities want to ensure lenders are more vigilant towards controlling the quality and volume of their lending. We have seen the central government make several moves to support the market in recent months; for example, several city governments are reportedly introducing “Price Reduction Restrictions” and loosening “Home Purchase Restrictions” to alleviate the pressure on house price cuts. “Such announcements are a signal that the government intends to utilize small-scale stimulus to encourage real housing demand and wants to direct buying activity only to specific market segments. The government has the capacity to bailout the sector if needed, given the substantial size of its foreign reserves state-owned assets. 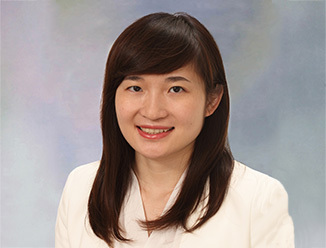 Defaults in the property sector are a political issue dependent on the decision of the central government, and not just a market issue,” said Ms. Ada Choi, Senior Director, CBRE Research Asia Pacific. Furthermore, the government has established four distressed asset management companies to receive non-performing loans (NPLs) in the wake of the 1999 GITIC default—the biggest in Chinese history. China therefore already has a platform in place to clean up NPLs if more defaults emerge. Despite the short-term uncertainty over the resolution of the over-expansion of the lending market and problematic lending, the long-term outlook for economic growth in China remains largely positive. The current situation presents a window of opportunity for investors to negotiate lower prices and yield-enhancing investment terms on projects in upper-tier cities where the demand-supply situation is more balanced. “For investment funds and equity investors, now is the opportune time to begin searching for attractive deals in the residential market, since many developers are struggling to obtain financing. However, their focus should be on tier one markets where demand remains robust and land supply is more balanced,” said Mr. Nick Crockett, Executive Director, CBRE, Capital Advisors, Asia Pacific. “There will also be opportunities for private equity funds to provide capital to fill the funding gap for developers by engaging in more structured deals. Instead of purely investing in equity stakes in development projects, investors can structure investment deals with a debt component or sellback option to enhance their risk-adjusted investment return. For example, investors can demand interest payments like a loan, but can have a call option to turn the interest into an equity stake if market conditions improve. Alternatively, they can participate in the deal as an equity partner but exercise sellback options to turn their interest into loans,” added Mr. Crockett. There is still a need for the existence of the shadow banking sector as a counterpart to the banking system and as a means to offer a wider variety of services to fulfill the needs of the Chinese economy, which continues to grow in size and complexity. Ms. Choi explained that “whilst Shadow Banking may be a sinister-sounding term, this system is not unique to China: the largest shadow banking markets in the world are actually the US and UK. Moreover, for a nation as big as China there is no way to avoid bad loans. The shadow banking issue requires the government to create a sound and enforceable legal framework on loan defaults and bankruptcy.” According to the Financial Stability Board of the Bank for International Settlement (BIS), in 2012, globally the size of the non-bank financial intermediation was equivalent to 117% of global GDP, much higher than China’s 26-55% of domestic GDP. “At the same time, given the need to improve the financing environment for developers, modernizing the Chinese banking sector—by introducing a more effective credit evaluation scheme so banks can effectively price loans—would be highly desirable. 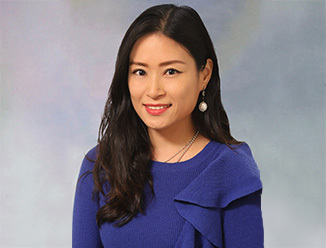 However, banking sector reform in China is a broader issue and will take time to address, so there is a need for the shadow banking sector in the meantime,” added Ms Choi. The shadow banking system in China encompasses a collection of non-bank financial intermediaries which provide services similar to commercial banks but are not subject to the banking regulations. There are a wide range of intermediaries including underground banks, microcredit companies, off-balance sheet loans for domestic banks, private equity funds and trust products. The China Shadow Banking industry is growing at a tremendous rate—by 42% in 2012 alone—and is estimated by various institutions to range from US$3.5-5 trillion, accounting for as much as 26% to 55% of the country’s GDP. This was reported in the Global Shadow Banking Monitoring Report for 2013, released by the Financial Stability Board. However, it is difficult to produce an exact size for the market, especially in areas where there is a lack of an established legal framework to regulate activity.